In response to the horrific Tsunami of 2004 that devastated much of Southeast Asia we traveled to Thailand and Burma performing in camps and centers set up for the homeless survivors of the Tsunami. We traveled for a month performing two or three shows a day. In addition to performing for tens of thousands of Tsunami survivors, we also traveled along the Thai-Burma border performing in the Burmese refugee camps of Mai Sot and Chiang Rai. 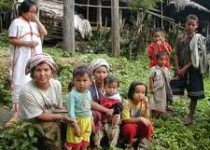 These were camps for refugees who fled Burma, primarily hill tribes people, like the Karen. Most of the trip I traveled with two artists, Jeremiah and Veronica, who were studying art therapy. After the Magic Shows, they would put out large sheets of paper and tempera paints and the children would do their impressions of the magic show and then they would move gradually into other more delicate and difficult areas of loss. Some marvelous work came out of these sessions in the orphanages and centers for children who had lost their families in the Tsunami. We were able to obtain a visa to travel into Burma and performed in orphanages all over the country. We worked in collaboration with World Vision. For a week, I had the honor of traveling with a young Burmese dentist. I was her magician “anesthesiologist.” As the children lined up to have their teeth examined and often extracted, I entertained them so they would be relaxed when they found themselves in front of the dentist. If they reacted to the dentist by crying or screaming, I used my magic to get their attention and help them calm down and recover from the pain. 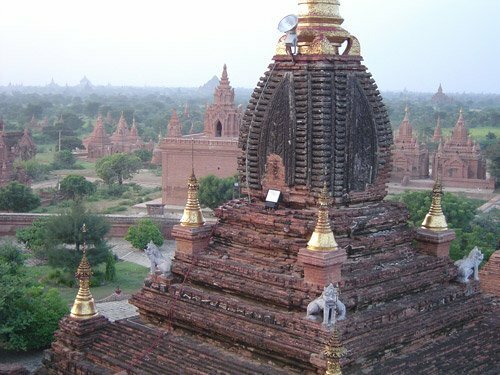 We made a good team and along the way I saw a great deal of Burma’s beautiful countryside and thousands of glorious Buddhist temples and stupas. Another highlight of the trip was taking a cargo boat down the Irrawaddy River from Mandalay to the temple city of Bagan. Banga is an ancient city of 2000 red brick temples many with shimmering golden domes. 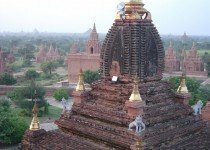 During our three days stay in Bagan we performed in many of the temples — often invited to perform by people who were in the temples praying or painting or picnicking. They are very comfortable in the temples and there is none of the same preciousness we have about church decorum. Our month in Thailand and Burma was a blend of pain for the devastation and suffering caused by the Tsunami, awe at the beauty of the land and temples and again the realization of how magic and laughter can be so needed at times of overwhelming loss and suffering.